Crime Nite – Interview | The Ark of Music – The best music in the world…you never knew existed. 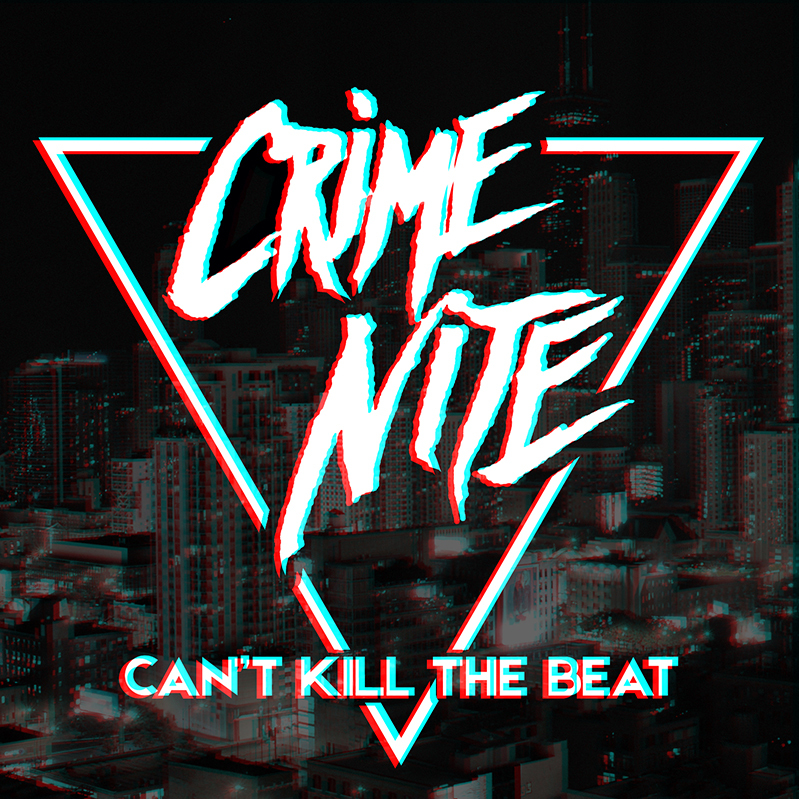 Below, you can read our interview with Judah Dylan and Andy Mars of Crime Nite, and listen to their album, Can’t Kill The Beat. Check out our full music review of Can’t Kill The Beat, HERE. Q: You guys are from Philidelphia, PA and Indianapolis, IN respectively; but you met in Bowling Green, KY. How and when did that fateful moment happen? Was the musical chemistry immediate? How long did it take to start making music together? How did you both end up in Chicago? A: The first time I remember meeting Judah was in the basement of a dive bar he was DJ’ing on Halloween. Naturally, I was in a tight dress and makeup so I spent the night dancing to his set. We were both DJs of our own styles at that time with a very similar sense of humor and things just clicked from there. 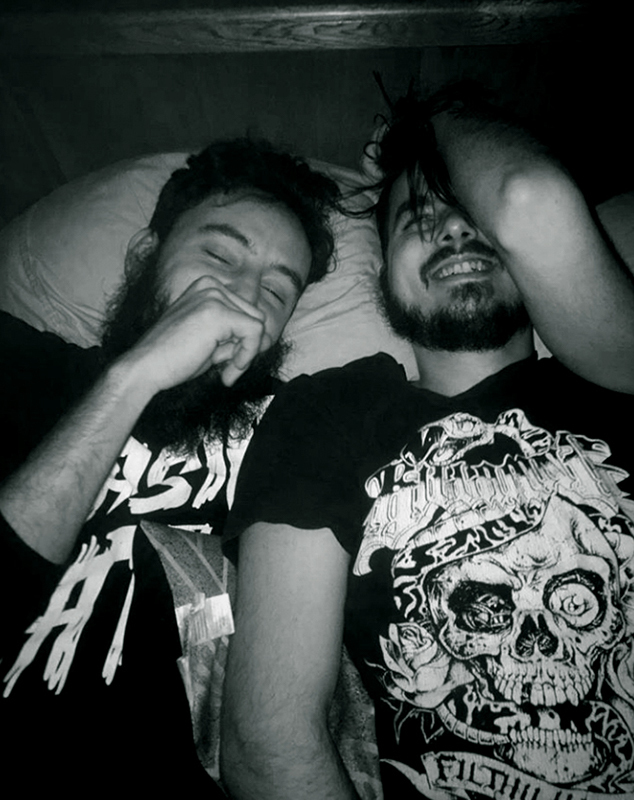 We would continue on to spend many years making music together and DJ’ing shows that I can hardly remember. Q: Judah: Your original inspiration in music was Metallica’s Kill’em All. Describe the process of how and why you’ve transitioned from metal to synth-pop. A: I played guitar in some good touring metal bands and was very immersed in the culture. I wrote several albums. I began to realize the limits of the genre when I wrote an album that included a lot of synth and orchestral movements. I was proud of the album, and thought it would stand out over the monotony of the genre. The band I wrote it for shut me down because there were too many guitar-less parts. That’s when I decided to go off on my own and explore all that music had to offer, with no weird limitations. I began producing experimental trip-hop stuff, and learning audio production as I went. I started dj’ing original dubstep and trap sets. All the while I was jamming 80’s synth-pop, and being drawn to throwbacks to the genre from artists like Kavinsky and Tesla Boy. I decided to follow that inspiration, and that’s how Crime Nite began. Q: Andy: You come from a family tradition of music. Tell us about that… Who are the musicians in your circle? How did/do they influence your music today? A: I have two cousins who are both very talented musicians I’ve looked up to since I was young. Every show they played I would try to be there. I loved their live music and raw style. Over the years I’ve watched them perfect their craft and couldn’t be more happy for them for where they are now. Both are currently part of, The Josephines, an alternative country rock band that is really picking up! While our style and methods to creating sound have always been different, with the release of this album, I have got nothing but love from them and that means the world to me. Q: Your debut album, Can’t Kill The Beat, was a labor of love which took four years to complete. In that four years you guys were apart and doing some pretty wild stuff. Tell us about your individual journeys during that time, and how you came back together to finish the album. A: Judah and I have spent a lot of time together, and a lot of time apart. We’ve traveled and lived in new cities together and made our name in local scenes wherever we went. Our project started under the name, Pretend, and no matter what we were doing, how far apart, or how different some of the music we were focusing on, we kept our dream alive. When apart, we’d spend nights on the phone talking about the image of our project, what we wanted aesthetically from it, and what stories we could tell. The relationships we’ve had along the way and the struggle and heartache we both have gone through has been something we could always talk about, and then release with the music we’d create. When we’re together in the same spot, we are productive as can be, always working on music, or videos, or comedy; you name it. When you find someone you can really work with, you just know. Q: Andy: How has your daughter inspired, changed, and affected your music? A: Having my daughter was hands down the most important thing in my life. At the time I was living near Columbus, Ohio, in a band house, hosting open mic nights, and DJ’ing my own heavy dubstep and also for rap groups in the area. When she was born, I gave all that away, and it was easy. My songwriting became something happier, something more fun, something I could watch her little legs move to. She has given me drive and purpose in life, something to make her proud of, and I believe learning from her helped us push the album to the final product we created. Q: Judah: How has your education in Philosophy inspired, changed, and affected your music? A: I began studying philosophy seriously around the time I was still playing metal. An invaluable skill I learned from my studies was how to think critically, and question things in a deliberate and thoughtful way. This probably had a significant role in me becoming disillusioned with the metal scene, and putting myself in a creative space free of limitations and fears. A: Judah – For us that would mean that we are traveling to awesome cities and playing our music for people who are having as much fun as we are. A: Andy – Both of us love to travel, and we are both fans of cities with bright lights and a pulsing night life. So, as we take off, the thing I would love to see is new people from city to city, dancing and really enjoying what they hear! Hope to meet you all one day! A: Andy – Not sure if you are talking about someone alive or dead, but my answer of course would be the King of Pop. Michael Jackson himself. A: Andy – This might be cheesy to some people but the soundtrack of Tron: Legacy by Daft Punk. It has been in my car or on my phone since it’s release in 2010. I could listen to that album any time, any place. A: Judah – Everybody Wants To Rule The World by Tears For Fears. I loved this song as a kid and I love the feeling I get when it comes on. A: Andy – My favorite song right now is Serotonia, by Highly Suspect. The lyrics hit me in all the right places and the instrumentals make me feel hope through dark times. A: Aside from making funky synth pop, Judah and I both love to make comedy. We create a lot of characters we portray and play out in short instagram videos, and sometimes 30 minute long unreleased pilot episodes. Our sense of humor is mainly based on self-humiliation by speaking truths that most people are too uncomfortable to talk about. A: Judah – We would like to shout out Internet Boyfriend for laying down some awesome vocals in Memories and bringing that song to life. 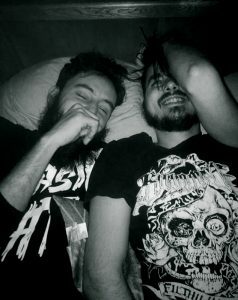 I also want to shout out my friend Cory Davenport who jams all of the music I make and encourages me to keep doing it. A: Andy – Shout out to all the musician friends I have made in this life, every single one of you has inspired me to get to the point where I am at now. I wouldn’t replace the time I spent at your shows or learning about your lives with anything. A: We have a lot of new ideas in the works, including music videos we are planning, new music, and upcoming shows! If the crime rate is rising in your city, you can expect to find us out there in the mix! Much love!